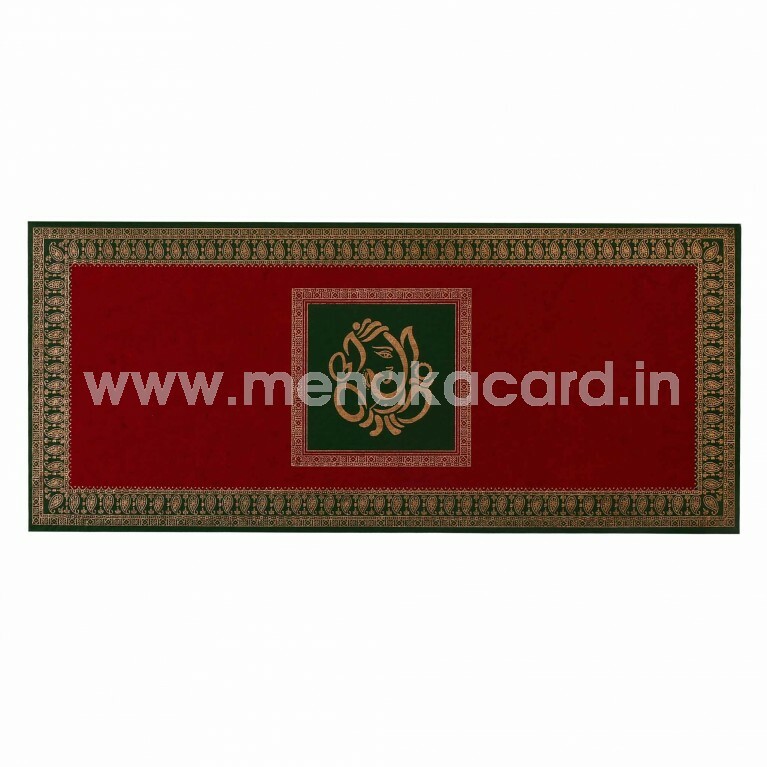 This traditional green and maroon laptop folding card is made from a gorgeous maroon hand made the board and has a simple gold ink zari border seated on a green base that framed the contemporary gold ink Ganesha in a green and gold frame box at the centre of the card. 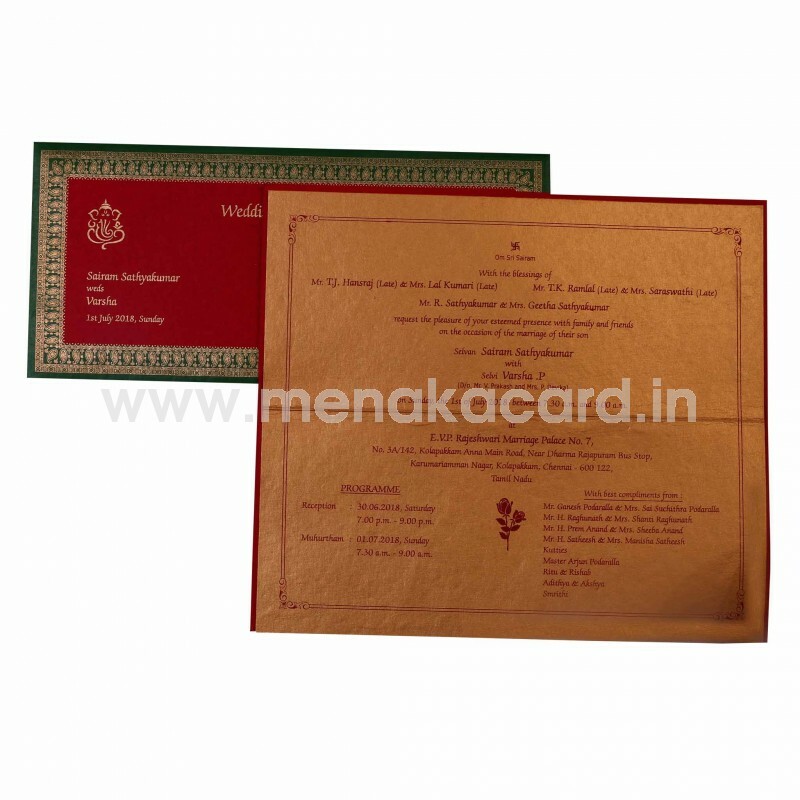 The gold insert sheet is stuck to the centre of the fold with the content printed in rich maroon ink. 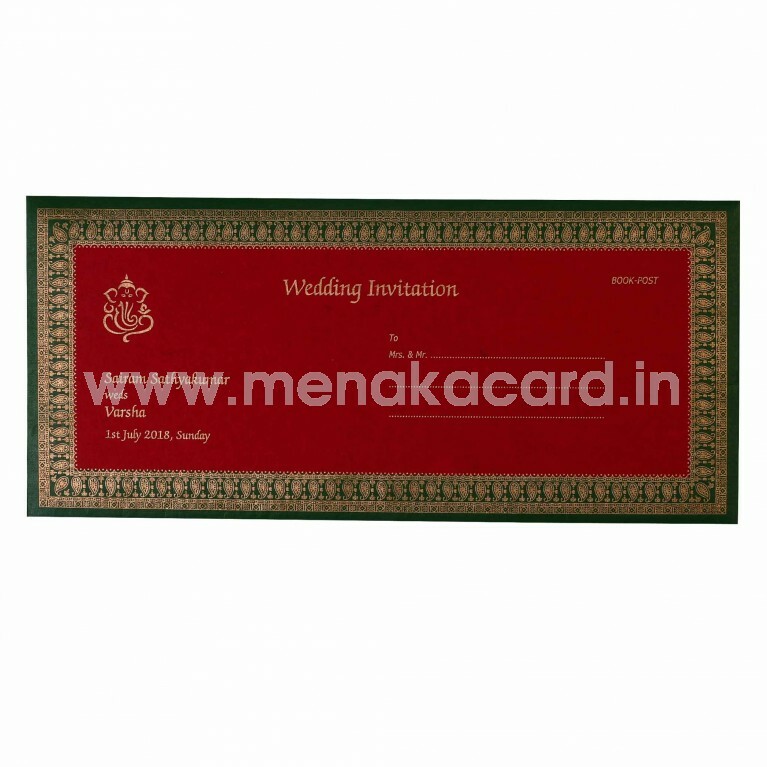 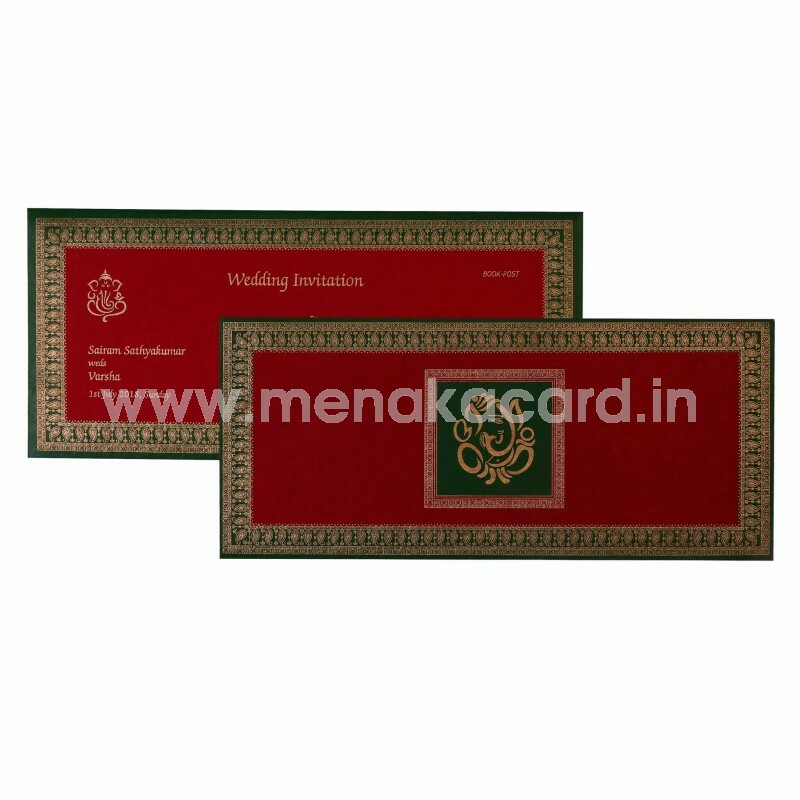 This card can be used for Hindu weddings, receptions, engagements, upanayanams, seemanthams, grahapravesham etc and can also be converted for other occasions.